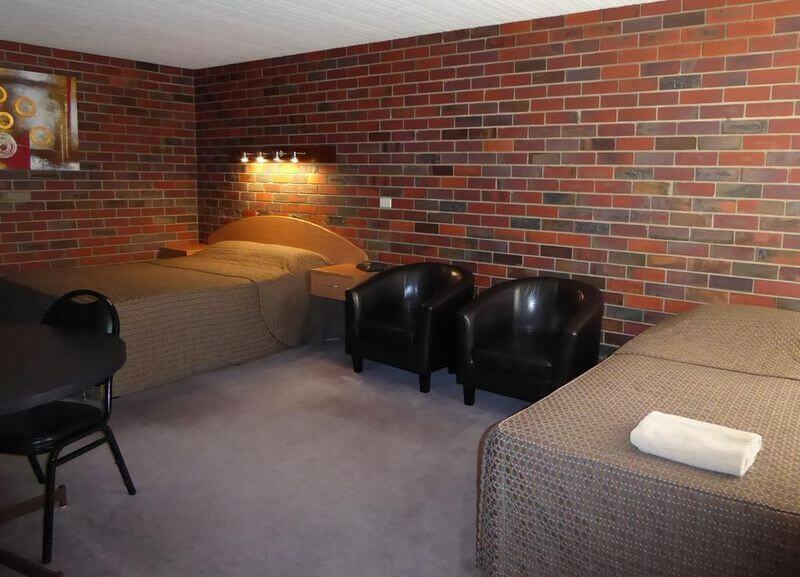 When looking for accommodation in Horsham - Town House Motor Inn offers affordable, comfortable and well appointed rooms. Our Standard Queen rooms offer comfortable accommodation. Each room consists of a Queen size bed and can accommodate 1 - 2 people. The rooms are spacious and some have an additional single bed. Amenities include a separate ensuite bathroom, reverse cycle air conditioning, 50-inch flat screen television with Foxtel and free 24 hour wireless internet. We provide you complimentary tea and coffee making facilities, a microwave oven, toaster and crockery. Breakfast is also available and served to your rooms. Call us now on 03 5382 4691 or book online to make your stay one to remember.